Hi I’m Audrey Snowe, a gluten-free vegan blogger, book author, and baker for whom creating desserts is more than a passion! My head is always filled with some idea of a treat or another. I can’t explain why – that’s just how I’ve been since I was old enough to use an oven, and my friends and relatives thank me for it 😉. 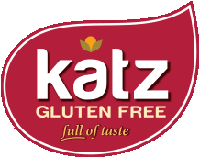 My journey into allergy-friendly baking began with health issues I started struggling with in my early twenties, and quickly thereafter discovered that gluten was a big culprit in my health struggles. I started my blog Gluten-Free Vegan Love with a focus on allergy-friendly treats while being on a dairy-free, gluten-free, and egg-free diet (all things my body refused to process). I knew there were many others like me out there who would love to have those types of desserts as well and I wanted wholeheartedly to share my creations with them. My initial focus was on adapting traditional treats I used to enjoy into gluten-free and vegan alternatives. That is when I penned my first ebook, Gluten-Free Vegan Cupcakes. 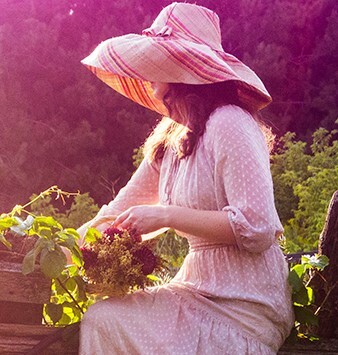 Be sure to stop by Audrey’s blog for new and exciting recipes each week! With Thanksgiving looming just around the corner and pumpkin treats cropping up everywhere, pumpkin bread is certainly one fall treat not to be skipped! This scrumptious, fresh-out-of-the-oven (can you see the smoke rising from the still warm bread in the pictures?) 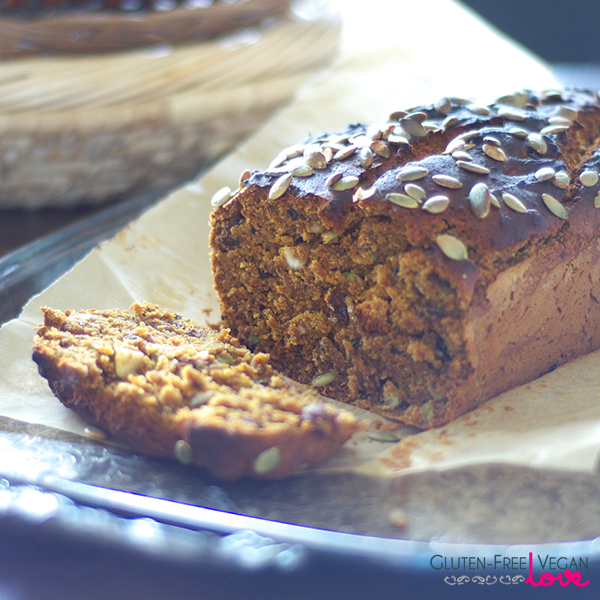 vegan and gluten-free pumpkin bread is loaded with the goodness of add-ins such as raisins, cashews, pumpkin seeds, and some chopped dark chocolate, and is spiced to keep you positively warm and cozy. Makes a wonderful breakfast item, a great snack, or a wonderfully hearty dessert. 1. Preheat oven to 350F. Line a bread loaf pan with some parchment paper, or oil and set aside. 2. Place pumpkin puree, oil, maple syrup, vanilla extract, spices, and salt into a large mixing bowl and blend together using an immersion blender. Note: if you don’t have an immersion blender, blend these ingredients together in a blender and then transfer into a mixing bowl). 3. Add in all remaining ingredients, except for the add-ins and extra pumpkin seeds, and mix thoroughly with a wooden spoon to combine. Fold in the add-ins. 4. Transfer the mixture into your bread loaf pan and smooth out. Gently tap the pan on the counter a few times to eliminate any air bubbles. Sprinkle with pumpkin seeds on top. 5. Bake in a preheated oven for about 55 mins. to an hour. Don’t forget to enjoy the aromas filling your house while it’s baking ;). Test with a wooden skewer down the center to make sure it comes out dry. Once baked, transfer onto a cooling rack and let the pumpkin bread cook for at least 10 minutes prior to serving. Enjoy! 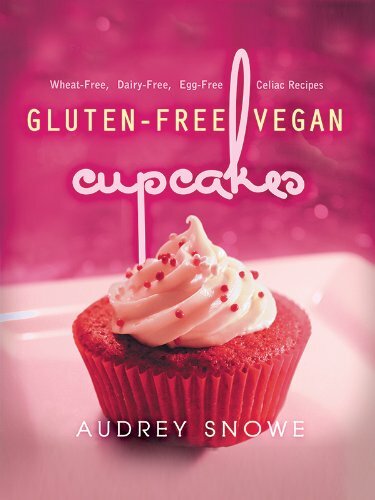 Check out Audrey’s ebook “Gluten-Free Vegan Cupcakes“ containing wheat-free, gluten-free, dairy-free, egg-free cupcake recipes … from traditional favorites like Red Velvet, Cookies ‘n Cream to the exotic … Pistachio Rosewater, Chocolate Lavender, Vanilla Passion Fruit! To view ALL CeliacCorner recipes open HERE. Great post! 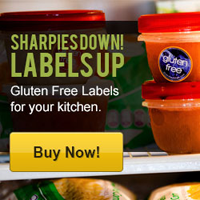 I am new to the gluten-free way of life, look forward to trying out the pumpkin bread. Comment *What a cool recipe. Definitely one to try my hand at! Thanks, enjoyed reading your feature. 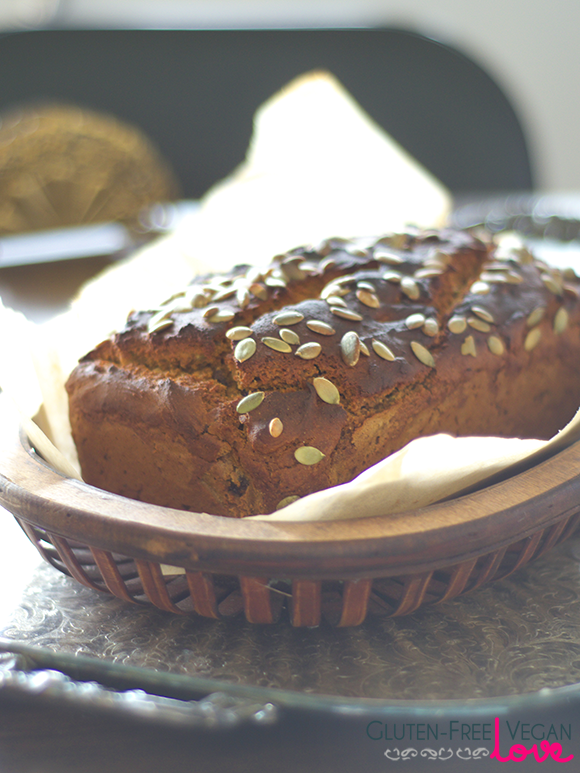 Will be making this pumpkin bread recipe soon!!! Definitely making this for Thanksgiving holiday.